Carenn Mackinnon boasts a well-rounded background in wine, holding previous positions in distribution, supplier, imports, retail, and now restaurants. Today, she is the assistant general manager and wine buyer for the newly opened Carpenter Hall in Austin. I started working in wine bars at the beginning of 2010 while I was attending culinary school. Two years later, I was hired by a wine distributor and worked for them for four years. I have held a few positions since then, but am currently at the recently opened Carpenter’s Hall as an AGM & doing the wine program. Most people have one bottle that changed the course of their life. I have a few of those, but what really propelled me into wine was realizing that I knew so much less than I thought I did. While I was attending culinary school, I was really excited to learn more about wine, so I got a job at a wine bar. The questions they asked me my first day I stumbled through, barely answering correctly. That night, I bought several books and bottles of wine, and just started reading & studying constantly. Nothing like having more knowledgeable people around you to motivate you to know more and be better. Getting people excited about and engaged with wine. Whether they know a lot or nothing, making connections with guests or colleagues based on the stories behind the wines and the places they come from is so valuable. Anyone can taste a glass of wine and find it delicious, but having a conversation about the people and place that made it is what is so special. Sadly, there is still the assumption that it must be a man who is your capable, successful sales rep or wine director. I still have guests that look utterly shocked when they ask to speak to someone about the wine list and find out that who they asked for is me. Approaching every situation, no matter how challenging, with patience, kindness, & respect goes a long way. Reacting with anger, unwilling to engage in conversation or work through any issues doesn’t move us forward in any positive way. I think the focus should be on supporting everyone in our community better, not just women. We all succeed in greater ways if we help each other grow and learn. This goes, of course, for everyone recognizing the capabilities that women have, but also by us women fully engaging with the entire community, without any gender bias. 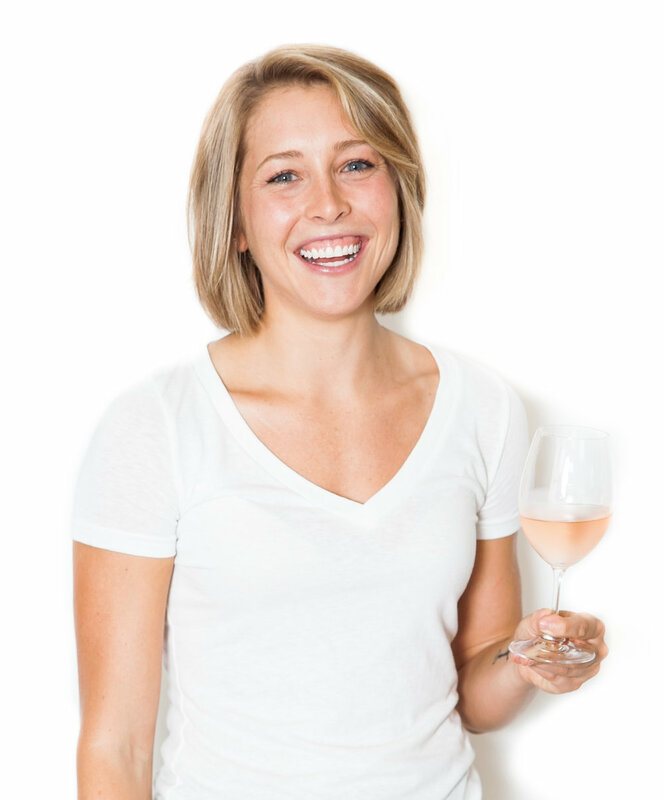 I love seeing so many talented, successful female winemakers all over the world! It is not easy to make high quality, respected wine in such a saturated industry, regardless of who you are. There are some incredible females doing it and garnering incredible admiration as a result. Work hard but stay true to yourself. If you put the time and effort necessary to be successful into whatever you’re doing, but don’t lose your beliefs or personality along the way, you will be happier and more respected by others. Equality in the wine industry is each individual and every position on a level playing field. Working together, never against each other, to grow each part of this industry and educate ourselves as well as those outside of the industry. There is no gender, age, position, company, status, or certification that makes one person of greater worth than anyone else. Having worked in many parts of the industry- distribution, supplier, imports, restaurants, retail, and now buying wine for a restaurant, I am very careful to never make those in other positions feel as though I am the one “in charge.” I cannot succeed without everyone around me succeeding. Support and respect for what others do is so important. She is confident in her knowledge and successful in her position. She does not shy away from that confidence, but is also humble in it. She lifts those around her up and uses her resources to help them succeed as well. Diane Dixon - she has been in this industry longer than any of us and has faced so much prejudice. Through it all she has remained respectful, kind, and so generous. Anyone who has had the pleasure of sharing a meal with Diane knows what absolute hospitality is through her. June Rodil - Talk about a woman who has forged a path for herself! June has blazed her way through her career and has been successful every step of the way while still offering opportunities and teaching those around her.